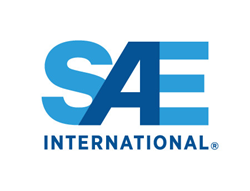 SAE International recently revised Radio- Frequency Identification (RFID) standard AS5678A (Passive RFID Tags Intended for Aircraft Use). SAE International recently revised Radio- Frequency Identification (RFID) standard AS5678A (Passive RFID Tags Intended for Aircraft Use). The RFID standard revision was completed by SAE International’s G-18 committee and released in December. The G-18 committee is now working to publish AS6023 (Active and battery assisted RFID Tags Intended for Aircraft Use). RFID is frequently used in Integrated Vehicle Health Management (IVHM) systems. Such technology enables the aircraft to “talk” to technicians about maintenance issues. There are two types of RFID systems. Active RFID systems use self-powered RFID tags to broadcast signals over long distance. Active RFID tags are commonly used as “beacons” to accurately track the real-time location of assets or in high-speed environments such as passing through toll booths. Active tags provide a much longer read range than passive tags, but they are also much more expensive. Active RFID is currently used in areas such as ground support equipment management, cargo and personnel management and part tracking. Passive RFID systems use tags powered by the electromagnetic energy transmitted from an RFID reader. Passive RFID tags have such applications as access control, file tracking, race timing, supply chain management and smart labels. The lower cost makes using passive RFID systems economical for many industries. In aerospace, passive RFID used for part verification and history. Passenger baggage tracking. Provides a requirements document for RFID tag manufacturers that produce passive-only, ultra-high frequency (UHF) RFID tags for the aerospace industry. Identifies the minimum performance requirements for passive, UHF RFID tags for aircraft parts that can only be accessed during ground operations. Specifies test requirements specific to passive, UHF RFID tags for airborne use, in addition to RTCA DO-160 compliance requirements. Identifies existing standards applicable to passive, UHF RFID tags. Provides a certification standard for RFID tags that will use permanently affixed installation on aircraft and aircraft parts. Active RFID is not currently allowed on aircraft due to an FAA restriction but the G-18 committee is hoping their active RFID standard helps in moving away from this restriction. Barry Allen, the G-18 chair had this to say about AS6023., “The reality is that active RFID technology is already pervasive throughout ground operations and onboard aircraft with electronics carried by passengers and in passenger luggage and cargo: fitness wearable activity trackers, smart watches, bag trackers, smart luggage, GPS trackers, cargo monitors, cycle computers, concussion detectors, and thousands of other devices going by names such as i-beacon, Bluetooth, BLE, WiFi, ANT to name a few. Not to mention all the cell phones and laptops which people forget to turn off.